Lauren Child and I will be speaking about making Lauren’s books on Sunday, May 5th at 10.30am. Lauren is very interesting and you’ll probably be surprised to know how she makes her illustrations and her unusual writing process. And there’ll be the chance to ask questions if you need an answer. I hope you can come and join us in May. I’d take the number 9 bus to Aldwych and get off on Piccadilly outside Cordings, but that’s just me. Find tickets here at the Royal Academy. I'll be at the Barnes Children's Literature Festival talking about my picture books and other things. We'll be drawing and having a laugh and I will mostly be showing off for close to an hour. I'll be speaking about my holidays and why I like drawing when I'm away. And about my new book Waiting for Chicken Smith. I hope to see you there. You can book a ticket here. It's near a pond. With ducks and everything. 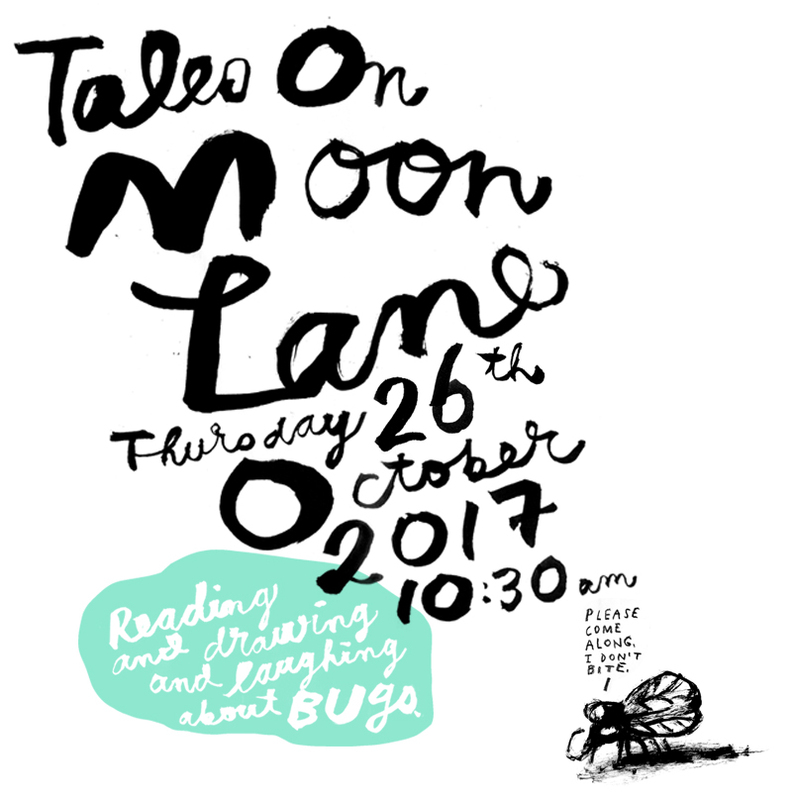 On October 26th I'll be at Tales On Moon Lane reading and speaking about my picture book There's A Bug On My Arm That Won't Let Go. We'll be drawing and asking questions and laughing a lot. Everyone seems to have a story about a bug landing on them, or crawling on them or finding a bug where they don't want to find one. Poor bugs, maybe they don't want to be there either. Come along and bring your drawing chops to show off your own bug. I'll be In-Conversation with Lauren Child at the Barnes Festival on Saturday May 14th at 10.30am. We'll be talking about how Lauren goes about making a book, from her rough thoughts up to the inky end result, and lots in-between. There'll be a bit about typography and why it's so important to Lauren's storytelling. We've been working together for fifteen years so there will be plenty of anecdotes about Ruby Redfort, Charlie and Lola, Clarice Bean and other things. You can ask questions and get answers and Lauren will be signing her books too. Who left the fairy lights on? Phone image from Charlie and Lola © Lauren Child. I'm pleased to be attending the Wee Write Festival in Glasgow this year, speaking to secondary students about illustrating children's horror classics, amongst other things. It's not open to the public, but it's not top secret or anything either. I'll be showing lots of pictures of my work, speaking on how I approach illustrating a text, planning a visual narrative and waxing on about visual literacy. I'll also look at book covers and ways of communicating the essence of the text they represent. Questions most welcome. There'll also be a book signing at the end. How do you expect to work in such a messy environment? I fancy a wee dram. There's a school holiday event at The Children's Bookshop in Beecroft, Sydney on January 20th, 2016. It's a 3 hour workshop for 8-12 year olds who like to draw, cartoon, invent characters and tell stories. Focusing on ways of creating and refining an idea, and how adventurous drawing can produce unexpected and satisfying results. The workshop champions the idea that everyone can draw and it’s OK to try. It's really just 3 hours of having a good time drawing pictures and talking about what's so good about that. And morning tea, of course. Please contact Paul MacDonald and staff at this brilliant bookshop for more information and to book for the event. JUNKY COMICS MuMu Book Launch! The brilliant JUNKY COMICS in West End, Brisbane, is hosting a launch party for What's Up MuMu? (HarperCollins Children's Books). 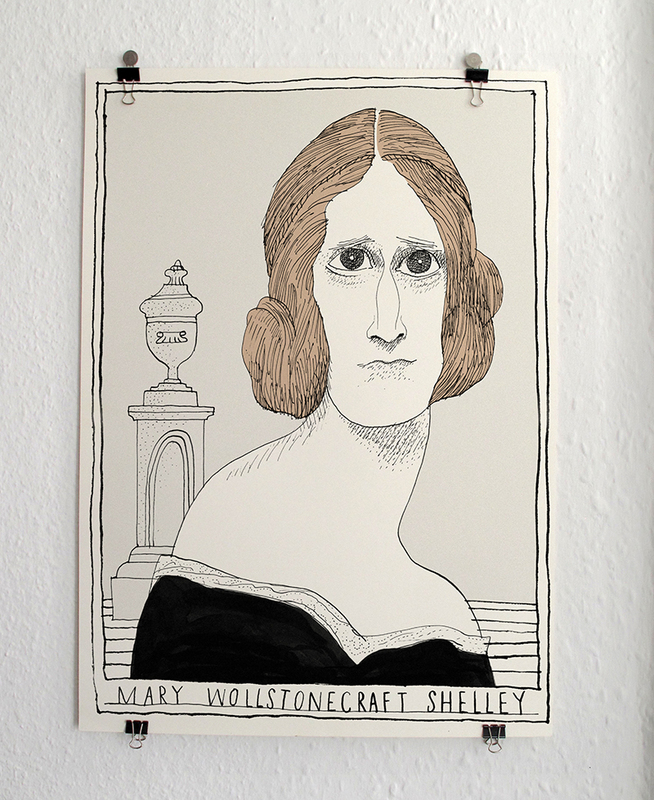 The first TEN copies sold on the night receive an original signed drawing of MuMu. There will be a reading by the author, plus a few words and a few signings of books. Proprietor Vlada will be more than pleased to introduce you to her vast selection of comics and books to make your visit a memorable one. Look forward to seeing you there. The Adorable Plush's musical director will be providing musical support. First TEN copies will get an original drawing. I'll be at Where The Wild Things Are Bookshop in Brisbane, Australia, for an In-Conversation event with Megan Daley. It's at 6pm until 8pm on December 16th. I'll be reading MuMu with some musical accompaniment and taking questions about my books, storytelling and designing for others too. There'll be books on sale and a signing afterwards. The first FOURTEEN copies of MuMu on sale will have an original drawing slipped into the jacket flap for you to take home and keep. 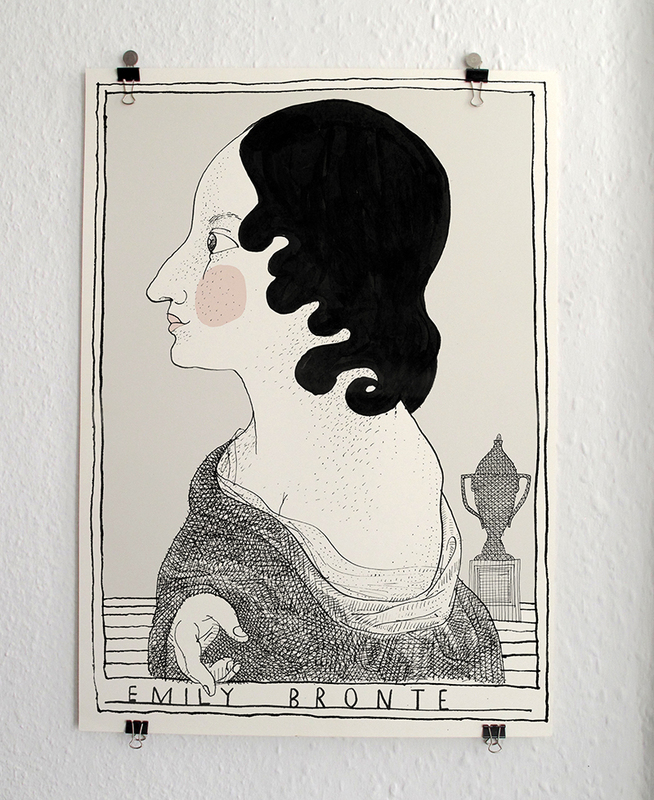 First FOURTEEN copies sold receive an original drawing. 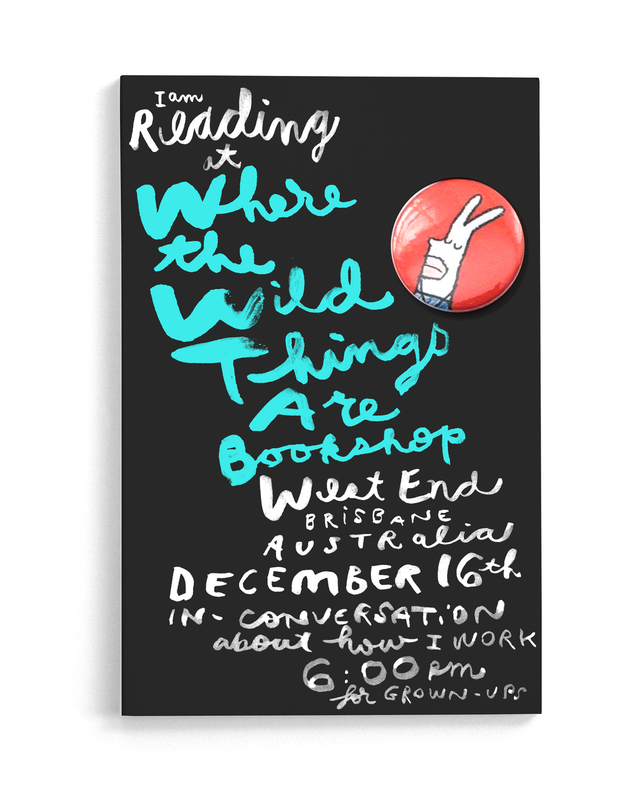 I'm at the Where The Wild Things Are Bookshop in Brisbane, Australia, on the 16th December, at 10am. There'll be a children's reading and drawing event at 10am, and you can see how I make the pictures for my books and hear why I like drawing and telling stories. There'll be a book signing afterwards, and copies of my books too. I'll be doing a reading of my new book What's Up, MuMu? and some drawing as part of The Big Draw at the excellent The Alligator's Mouth book shop in Richmond, Saturday October 3rd at 15:30. Come along and do some drawing. It's easy. Not to be confused with the Crocodile Shoe Shop. Ask a policeman. I'll be speaking at Kingston University (UK) on Tuesday June 23rd about my books, how I work and the process of making a picture book. The event will be chaired by the super-agent Helen Mackenzie-Smith, who also edited some of the books we'll be talking about. There will be a signing afterwards too. This one isn't open to the public: teachers only. Like a staff room. Can you hear me up the back? I'll be at the Barnes Children's Literature Festival doing a reading from LUCKY and drawing and talking about my other books. It's aimed at 6-10 year olds. Come along and you can do some drawing too. Or just watch. Or listen and not watch even. Or just read a book in the corner if you prefer. You're all welcome. Go to the pond and turn left, you can't miss it. I'll be at The Story Museum in Oxford at 6pm on the 19th February speaking with Rob Biddulph about making picture books, drawing and that kind of thing. I'll be discussing how to start making your own picture book, and how I make my own. It's suitable for teenagers and adults. There'll be pictures and slides and other things. I hope you can be there. I will be on a panel discussion at the Waterstones Piccadilly bookstore in London on October 29th. The panel will be Oliver Jeffers, Rob Biddulph and myself talking about picture books and, no doubt, penguins. Hope to see you there. Tales On Moon Lane book reading & signing, London UK. I'll be at Tales On Moon Lane Children's Bookshop on Wednesday 29th October at 2:30pm reading my picture books like Marshall Armstrong Is New To Our School and Lucky. 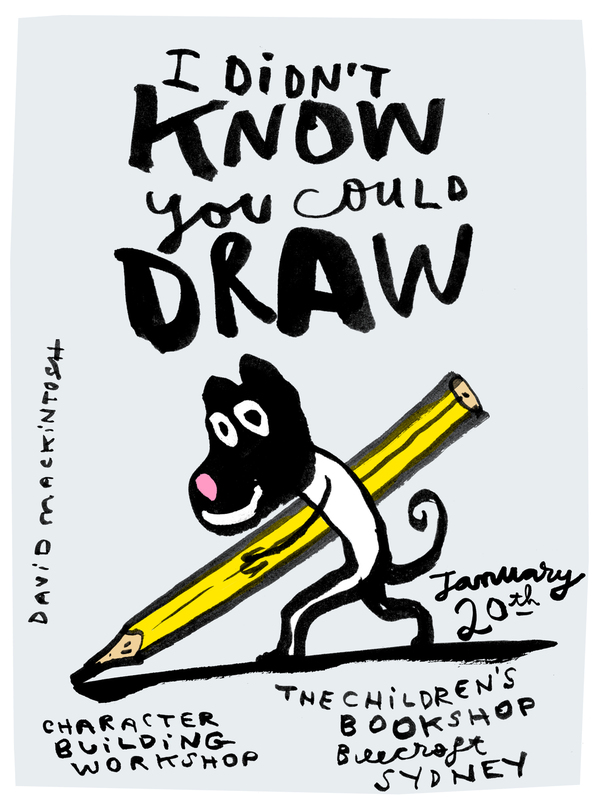 We'll be drawing and painting some pictures, signing some books and there'll be a lucky winner of a Specially-Inscribed-By-The-Illustrator-Carry-About-On-Your-Person-Notebook. I hope to see you then! Here's a film about how I make picture books. I'll be doing a drawing masterclass (a what?) for 7-11 year olds at Storystock Festival at Bush House, London. 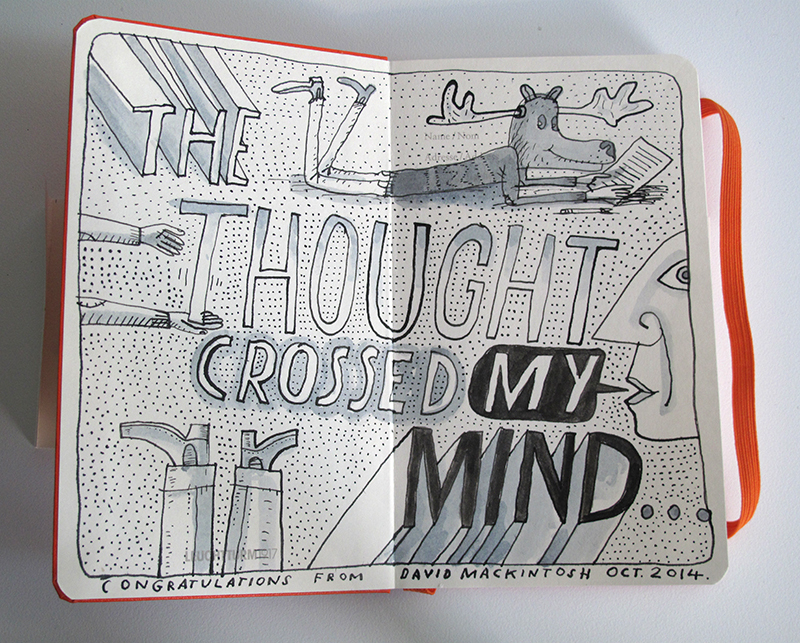 It's part of the The Big Draw Campaign for Drawing 2014. There will be a lot of drawing, ink and white acrylic paint, and moving pictures projected by a magic lantern. Everyone will be drawing and you can ask questions about books and how to make them. You don't even have to put your arm up, you can just yell out. I hope to see you there. 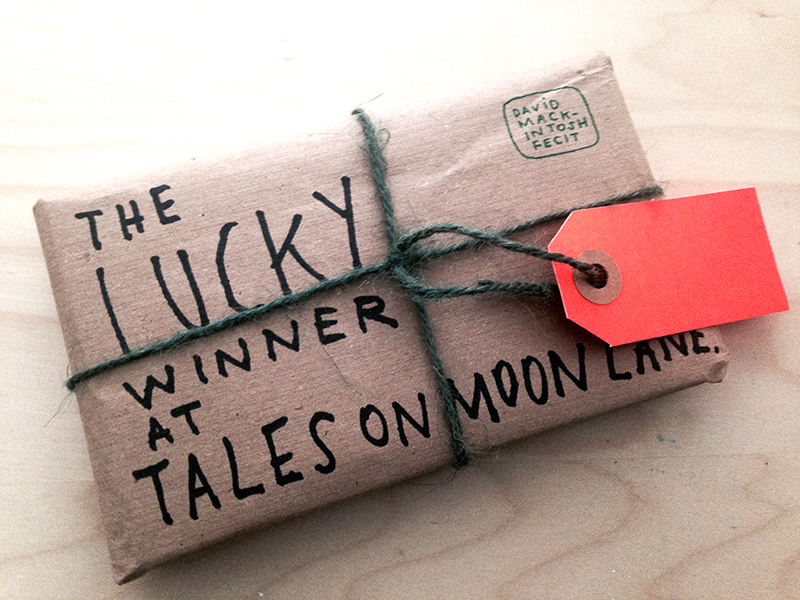 PLUS : there's a lucky dip for a ubiquitous Specially-Inscribed-By-The-Illustrator-Carry-About-On-Your-Person-Notebook. And maybe a pencil. I'll be doing a super-short talk about designing books for Trisha Krauss's students at the Macbeth Centre on Monday night. There's a great picture of a printing press involved. It's only for enrolled students though. I'll be talking on the subject of failure (and failing better) at the Children's Book Ireland Conference in Dublin on May 24th, 2014. The F-word – Samuel Beckett style – is close to my heart, but there will be a silver lining, if I can think of one. There will be some nice pictures and some not so successful pictures, and talk about how I make a book and what you don't see that goes into making a book. I hope you can come along. I'll be reading Standing In for Lincoln Green at Book Court Bookstore in Brooklyn on Saturday May 10, starting at 11am. We'll be drawing pictures and signing books, too. Hope you can make it, I'd like to meet you. I'll be reading Standing In for Lincoln Green at the McNally Jackson bookstore in Manhattan on Saturday May 3rd starting at 11.30am. We will be drawing and showing some fine pictures on a screen too. Would be good to meet you. Have a nice day.